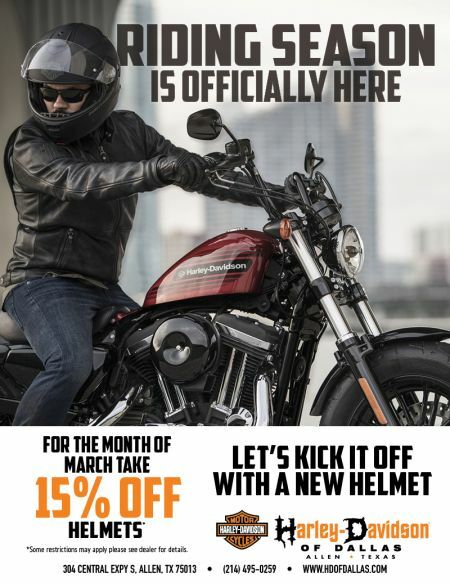 Home › Promotions › For the Month of March take 15% HELMETS! For the Month of March take 15% HELMETS! Riding Season is Officially here! Let's kick it off with a new Helmet! For the Month of March take 15% off any Helmet! Get to our Allen Tx motorcycle dealership and check out our huge selection, then buy a new motorcycle helmet today.